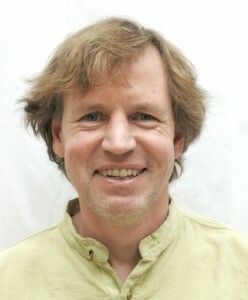 Dr Rob Burton is a senior researcher from the Centre for Rural Research (Bygdeforskning) in Trondhiem, Norway. Rob’s work has focused on exploring the role culture and identity play in determining farming behaviours – particularly as they relate to agri-environmental activity. Rob is part of an EU COST programme looking at the concept of cultural sustainability with a focus on the influence of farming culture on the adoption of agri-environmental schemes. We talk about policy and sustainability frameworks as related to agricultural areas in Europe and New Zealand (spoiler: NZ is not outstanding in the field). (In terms of policies for agriculture that look beyond production) NZ not just has a long way to go, but is going rapidly in the wrong direction. Norway does the opposite of population-based funding, if an area doesn’t have enough population, they fund it better…to try to keep a regional distribution of population. (In regards to environmental policies around farming, have we got something fundamentally wrong?) Yes, I think you have. While many farmers are really good, you don’t need too many to ruin it for the rest. I think there needs to be more of an element of compulsion for breaching environmental standards. The industry is trying, and many farmers are trying, but there’s the bad ones that somewhere along the lines you’re going to have to pull up. Also the fast tracking of development for dairy is probably wrong. Particularly its expansion into regions that are dry and depend increasingly on irrigation – that creates difficulties, farmers have to borrow a hell of a lot of money to set up a dairy farm and really the environment is the last thing they want to worry about when they just have to make the business profitable. This will resolve itself in the future once the investment and growth development stops and farmers spend a bit of time getting the capital back and they can invest in things like the environment. But if you want it now, this is a problem I can’t see being resolved. There’s a real problem for sustainability when you start using all of the resources – you have no capacity if something goes wrong – because then if it goes wrong it goes very wrong. And this effectively what we do by relying on economics to drive the development of agriculture – which of course is going to maximise the use of every drop of water that’s out there which is fine except…you’re losing sheep and beef farms and if we have a period extreme drought through climate change then we’re in trouble. (Beyond post-productive farmer self-identity) When people do studies of farmers, they generally find that farmers are very pro-environment and then when they look at the farmer behaviours they don’t seem to match up. A lot of researchers in the past have concluded that the farmers are just liars – they don’t think this about the environment at all. Our point is about multiple identities, it’s about hierarchies of identities. You have an identity as an environmentalist that you can apply sometimes, and you can care greatly about the environment – but it is like going into a supermarket, you want to do the right thing in terms of purchasing organics and so on, but your first priority is feeding your family with the money you have in your pocket. In general, production remains the first priority for farmers – it doesn’t mean that when they talk about the environment and don’t act that way that it is hypocritical , it is just that they don’t prioritise it very often or as often as they should in some cases. (Are you an activist?) No, I’m not an activist. I’m a cynic, sometimes I’m a realist which is a cynic with a better cause than just being cynical. But in my work I always try to do things that are important rather than unimportant. There is unimportant work being done out there that is pretty irrelevant – I don’t like doing that. It’s not something that gives me a lot of satisfaction. But I’ve never protested anything…no I don’t think I’m an activist but I do what I can… but like to be able to put a perspective across that may make people think a bit differently- or make a difference in the end, but I don’t really believe that going out there and protesting is necessarily the best way of doing it because people have been doing that for too long and governments are really too savvy on that. They’ve got the spin doctors who are quite able to nullify any legitimate protest anyway.